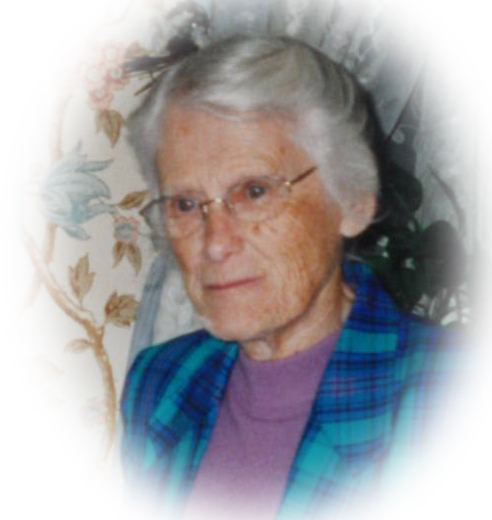 Obituary for Marie P. Wolgemuth | Sheetz Funeral Home, Inc.
Marie P. Wolgemuth, 93, formerly of Mount Joy, passed away on Friday, February 1, 2019 at Mennonite Home. Born in Mount Joy, she was the daughter of the late Aaron S. and Anna (Brooks) Wolgemuth. Marie graduated from Eastern Mennonite High School in Harrisonburg, VA, class of 1943. She retired in 1993 from the former Sico Company after 50 years of service as a Payroll Supervisor. Marie was a member of Chestnut Hill Mennonite Church in Columbia where previously she taught Sunday School and served as Financial Secretary. She volunteered at the Mount Joy Gift and Thrift Shop and the Lancaster Mennonite Historical Society. Marie enjoyed collecting post cards, doing word search puzzles and was an avid reader. A sweet, kind, generous and strong woman, she loved her Lord, family and friends. Marie is survived by three nieces, Mary Good, Leslie Noll; and Jane Wolgemuth and three nephews, Keith, Scott and Steve Wolgemuth. She was preceded in death by a niece, Helen Reinford; and a nephew, Mark Wolgemuth. A funeral service honoring Marie’s life will be held at the Sheetz Funeral Home, Inc. on Saturday, February 9, 2019 at 11 AM. Family and friends will be received at the funeral home before the service from 10 AM to 11 AM. Interment will follow at Mount Joy Cemetery. In lieu of flowers, memorial contributions may be made to Chestnut Hill Mennonite Church, 4050 Marietta Avenue, Columbia, PA 17512 or Hospice and Community Care, 685 Good Drive, PO Box 4125, Lancaster, PA 17604.